We all know that Apple works hard to bring major improvements to each of their new macOS’s. If you compare some f the older operating systems such as OS X Jaguar or OS X Tiger to the most recent ones macOS Sierra and High Sierra, you’ll notice drastic changes. However, it’s understandable that not all users are running their Macs on the latest OS; many still stick to the older versions. Since its release in 2011 OS X Lion has been succeeded by six other OS’s, including macOS High Sierra which was released just around a month ago. We won’t deny that OS X Lion is far from perfect and has certain drawbacks. But as long as at least a small number of users will keep Lion as their OS, there will be the need for expert’s advice and feedback. Probably, the main problem about OS X Lion is performance issues: the OS may cause frequent slowdowns and even freezes. 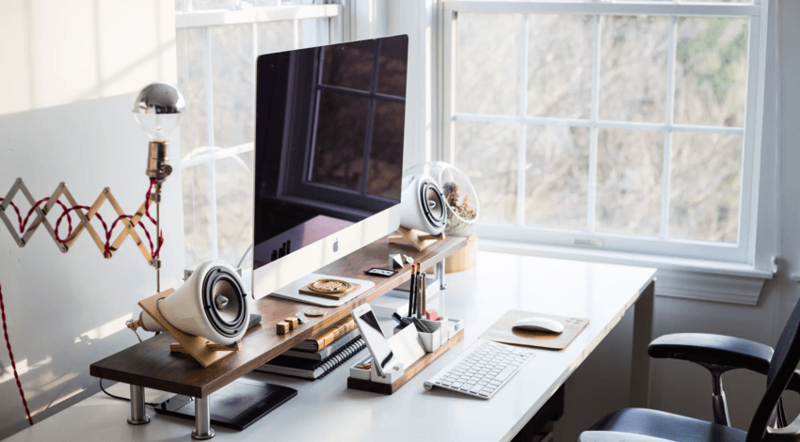 In this article, we offer a chart of what we believe to be the most effective and helpful tips to help you boost the performance of Mac running on OS X Lion. Obvious as it is, first you should make sure that your Mac’s system meets the minimum requirements of the OS X Lion. Your device needs to have at least 2GB of RAM and one of these processors: Intel Core 2 Duo, Core i3/i5/i7 or Xeon processor. Keep in mind that 2GB of RAM is the very basic minimum. The experience of many users says that for the proper work of this OS X you need at least 4GB of RAM. Suitability of repairing disk permissions has been a debatable issue for a long while. One shouldn’t expect this action to become a solution to an extended range of problems in Mac’s performance. However, repairing disk permissions does make a change for OS X Lion, and as reported by many users, it may help to fix a number of issues. Thus, you should give it a try. Possibly, some system issues can be caused by an app running in the background which is not optimized for OS X Lion. Open Activity Monitor to check the memory usage of all process and apps currently running on your Mac. Activity Monitor can be accessed through the Utilities folder. You can click a button ‘Quit Process’ to force quit some of the processes individually. A feature Auto-Resume was originally borrowed from iOS and became a great improvement for OS X Lion. With the help of Auto-Resume, apps can automatically save their current state. While Auto-Resume applies to the Finder and all apps and is definitely useful for more recent devices, it can cause performance issues on the older ones. Performance issues can be caused by the outdated apps or those that haven’t been optimized for the OS. Make sure that all of your software is updated to be in sync with OS X Lion. Use this great Apps Compatibility Table to help you out. For many users, Internet browsers are the apps using a lot of resources. Closing unused tabs and clearing caches are not all you can do to deal with the issue. As reported by many users, browser extensions can be the reason for the system slowdowns. In particular, AdBlock in Safari became a real problem for a lot of Mac users. Try to disable browser extensions to see if it helps to improve the situation. Handy as they are, login items can require extra resources and increase boot up time when unused. With an Auto-Resume enabled (see above) this can lead to even bigger problems. To turn the Login items off, go to System Preferences – Users and Groups, then choose Login Items tab. Select the applications you don’t want to be automatically opened on the login and press minus button (-) to remove them from the list. All data on your Mac is automatically indexed early each morning. If you turn Mac off over the night, Spotlight might get no chance to re-index self, which is not likely to cause any major system problems but may lead to Mac being unresponsive and slowing down when you open Spotlight again. To force re-indexation of Spotlight, go to System Preferences – Spotlight and choose Privacy tab. Click ‘+’ and select the volume you want to be re-indexed. With Mission Control and full-screen apps introduced in OS X Lion, it’s easy to get your Mac clogged with too many items opened at a time. Make sure to close any apps, windows, and spaces you don’t use at the moment. Os X’s have always had enough of animation and visual effects. OS X Lion got its share of new ones, resembling the effects on iOS. No matter how cool they look, visual effects may, however, cause certain slowdowns. Turning them off won’t make a too big difference but still will save you the time from the animation playing out. Keeping your Mac free from caches, duplicates, temporary and log files, as well as reclaiming disk space by deleting old media and photo files, as well as unused apps is something that will help out in improving the performance of any OS. You can remove all of these items manually or use one of the effective cleaning apps to get the work done in your place. Follow out tips to speed up your OS X Lion and make it work fast and smooth. Previous How to Protect a Folder on Mac with a Password: Be Ready to Get Sweaty!